Fall by far is my favorite time of the year. I love when I finally get a chance to wear sweaters, blanket scarves and cozy hats. 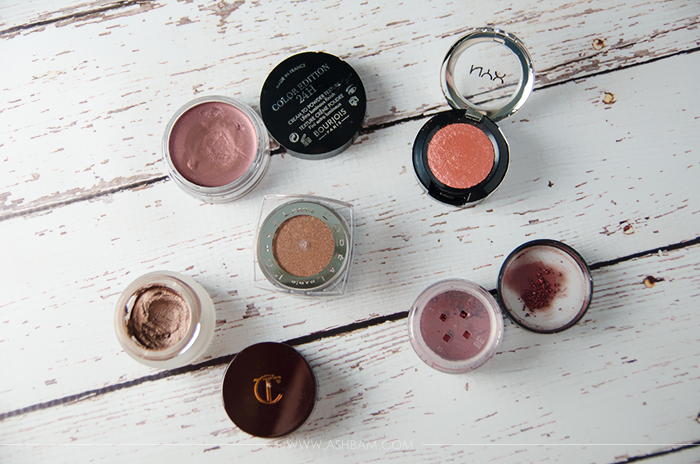 Of course it’s the perfect time to bust out all those warm eyeshadows. I have a slight obsession with these colors no matter what time of year, but there’s something about the cooler weather and changing leaves that makes me want to wear them everyday. So I thought I’d go through my collection and pick out a few (okay there’s more than a few) of my favorites! 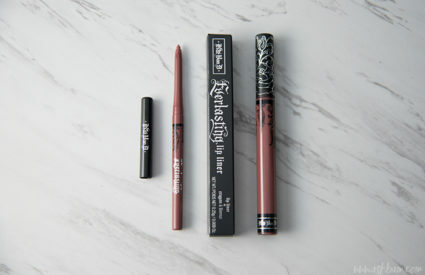 Let’s talk about my favorite eye pencils first. Really they just make mornings so much easier and they’ve been my go to when I’m running a little late. Laura Geller’s Eye Dew in Burnished Bronze is a brown shade with golden pearl. 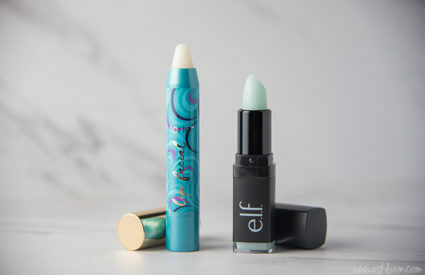 It’s really creamy and easy to apply, however you definitely have to move quickly with these before they set. 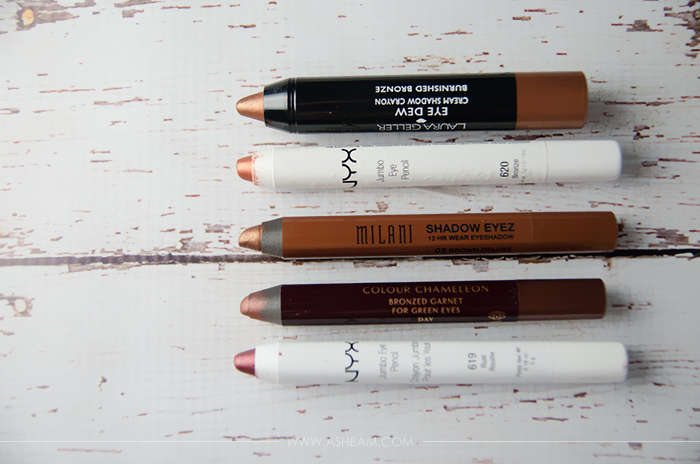 Next are the NYX Jumbo Eye Pencils in Bronze, a metallic burnt orange and Rust, a lovely marsala shade. These aren’t the best eye shadow sticks, they do crease throughout the day, but they are rather pigmented and blend out easily. For some reason Bronze doesn’t seem to be available anymore, which is a shame because it’s a beautiful color. Milani Shadow Eyez in Brown Deluxe is one of my favorite pencils I own. It’s a golden brown shade and it’s super pigmented and there’s hardly any creasing at the end of the day. I definitely need to pick up more colors! Lastly is Charlotte Tilbury’s Colour Chameleon in Bronzed Garnet, a beautiful reddish bronze that’s made to compliment green eyes. It wears really nicely throughout the day and it’s one of my favorite colors. And now for a few of my favorite single shadows. Charlotte Tilbury’s Eyes to Mesmerize in Mona Lisa is a beautiful brown with a hint of red and some purple as well. I love the texture of this one and a tiny amount goes quite a long way. 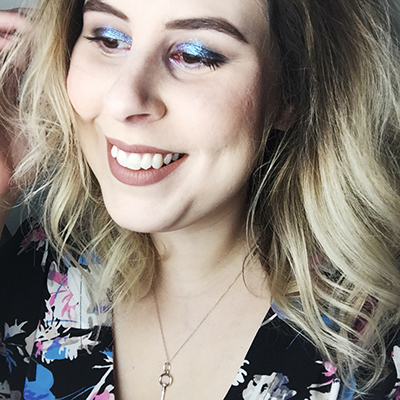 L’Oreal’s Infallible Eyeshadow in Bronzed Taupe is a much cooler bronze compared to everything else, but it has a really great velvety pressed pigment formula that truly lasts all day and I can’t get enough of it. NYX Prismatic Eye Shadow in Fireball is a super bright orange, very fitting of it’s name. I don’t wear this one often, but it’s such a great pop of color with a nice metallic finish. Bare Mineral’s Here Kitty is a perfect mix of purple and red which really helps my hazel eyes stand out. 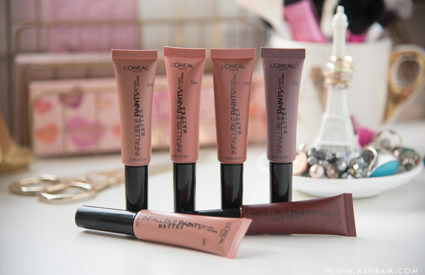 I tend not to use loose pigments anymore, but the quality is amazing and so long lasting. The Bourjois Color Edition 24hrs Cream to Powder eyeshadow in Prune Nocturne is a beautiful plummy brown color that I love, but sadly this one is a little hard to work with on the eyes. I’m frequently drawn to a palette because of it’s warm shades, especially something with reddish tones. And that’s definitely the case with all of these. 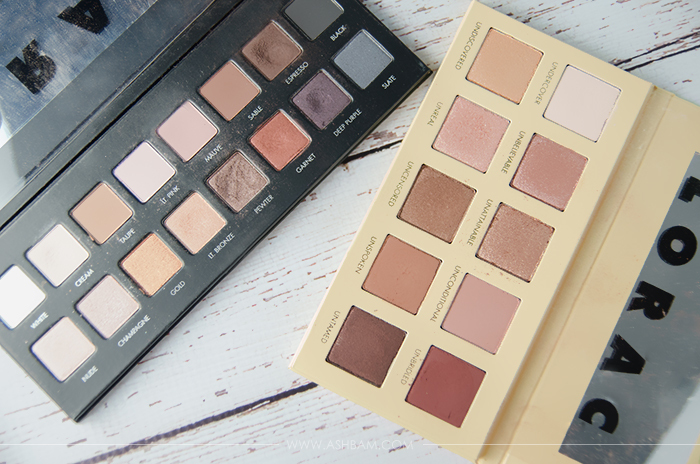 I’ve reviewed most of these palettes already so I won’t go into too much detail but some of my favorites include Sunrise and Sunset from It Cosmetics’ Naturally Pretty (full review), Sienna and Caramel from Anastasia’s Maya Mia (full review), Lorac Pro’s Garnet and Unspoken and Unbridled from Lorac’s Unzipped palette (full review). Sunrise and Sunset complement each other so perfectly, a soft amber shade and a burnt amber shade. Sienna and Caramel almost seem to be a more muted version of the previous two, with a little less warmth. Garnet is another lovely red toned brown. 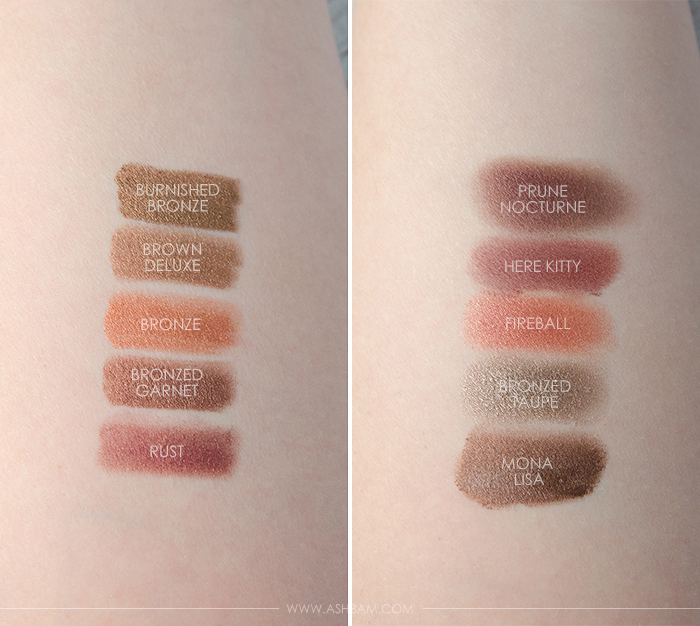 And Unbridled has more of a plum tint to it while Unspoken is a warm tan color. Coastal Scents have a huge range of colors at a really great price, plus they’re frequently on sale! 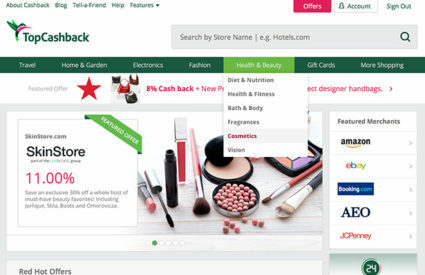 You can pick up their eyeshadow hot pots for $1.95 or $0.98 on sale! There’s a great mix of mattes, shimmers and satins. These are just a few of my favorites from one of the palettes I made. Oatmeal Tan is a very orange tan shade, Copper Pot is a pretty similar to the last shade but with a shimmer to it, Harvest Brown is a light brown with a hint of orange, Bright Copper is more of a red shimmer than Copper Pot, Coral Pink definitely leans a bit more orange than coral or pink in my opinion, Lava is a muted red brown, Wild Raisin is a burnished burgundy shade, Raisin Berry is a deeper maroon, and Chocolatier is a brown shade with a hint of red. 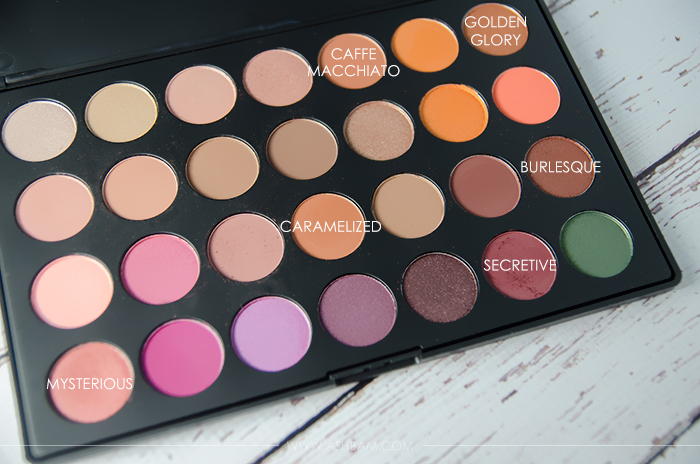 Lastly is the Morphe Jaclyn Hill Favorites palette. That girl loves her warm hues so I knew this would be perfect for me. 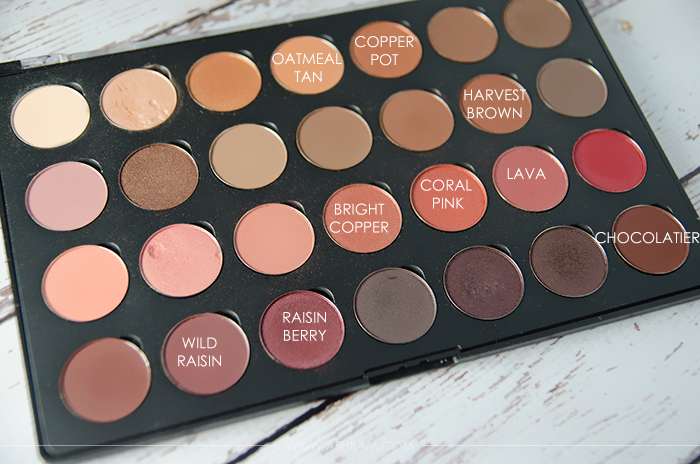 Unfortunately the palette is no longer available, but you can still purchase the colors individually! Caffe Macchiato is described as a peachy brown color, Golden Glory is a lighter orange shimmer, Caramelized is a golden orange brown, Burlesque is a bronze shade, Mysterious is an orange/reddish copper, and Secretive is a deep maroon. 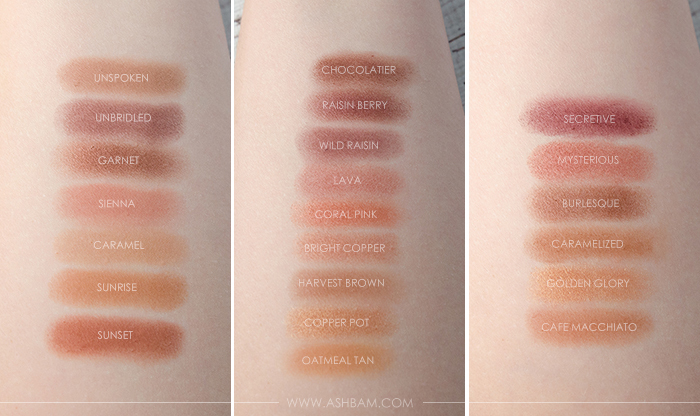 These shadows have great pigmentation and blend out like a dream, plus they’re also pretty inexpensive at $2.29 each! 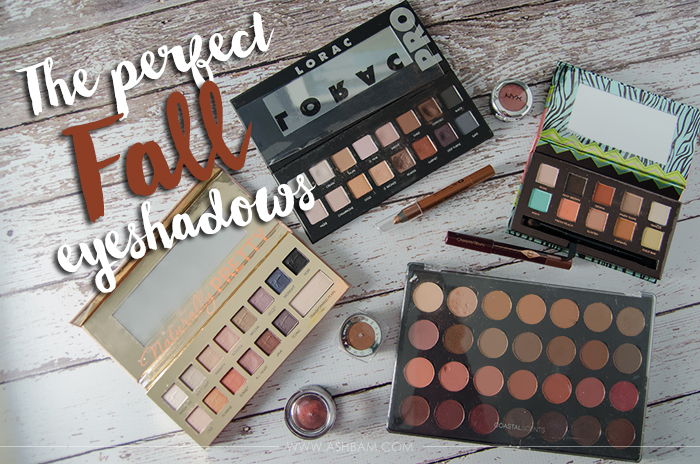 So what are some of your favorite fall eyeshadows? Any must haves? You have such great choices here! 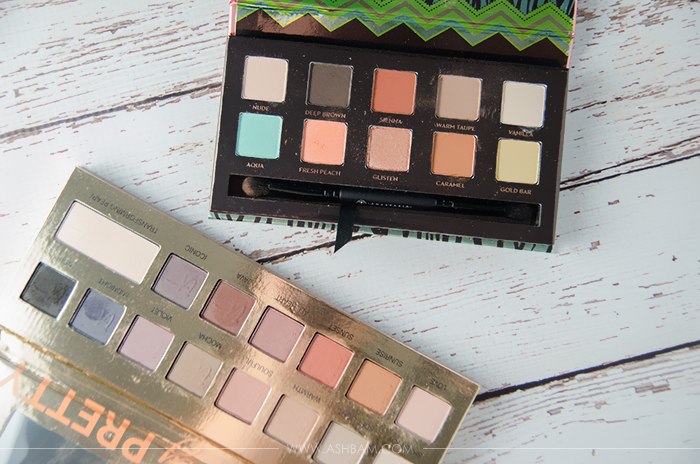 I love the Unzipped Palette and I think Kat Von D’s shade and light eyeshadow palette has some beautiful browns for fall, too!